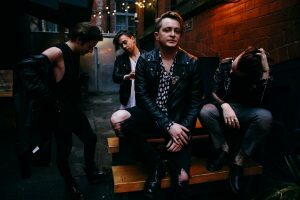 Half the band left behind medical qualifications to hit the rock scene, so what makes Otherkin fit to succeed? THE COVER of Otherkin’s debut album – much like the band’s borderline maniacal live performances – is one big, bold statement. 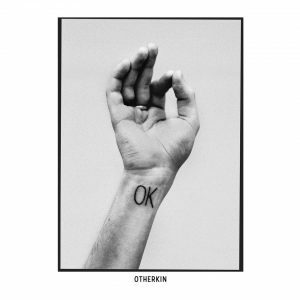 Ahead of the release of ‘Ok’ this month, two members of the band got the album title tattooed on the inside of their wrists. It fits in with the band’s heady, in-your-face rock vibe (they call themselves ‘grunge-pop’), one that’s made David Anthony, Luke Reilly, Rob Summons and Conor Andrew Wynne famous (in certain quarters) for roughly-hewn pop-rock ditties, but also for crowd surfing and brash, buzzing gigs. The cover, and new symbol of the band, feels symbolic: it’s simply that tattooed arm reaching for the sky. When it came to recording ‘Ok’, it was important to keep a similarly raw vibe. Recording music, typically, requires click tracks, steady hands and carefully constructed ‘perfect’ versions of songs, often layered from individual instrumental setups. Looking to maintain that live buzz, however, Otherkin’s recording sessions saw Reilly “charging about the place with a bottle of wine in his hand. We built our reputation as a live band, and it was important to capture that on the record,” Summons tells us. 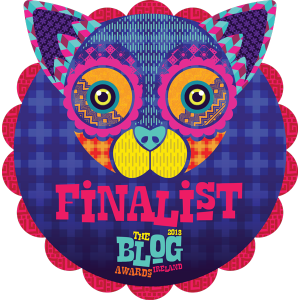 It’s always been a key part of Otherkin’s philosophy to build a following outside of Ireland. Their local following got a serious boost when they stepped out as openers to Guns N Roses at slane this year, but as vibrant as our music scene is, it’s simply too small for a four-piece band to play enough shows to survive by just playing here. The exceptions are acts that have become massive cultural entities on our shores, with even the likes of Bell X1, The Coronas, and The Frames never really imitating their Irish success overseas. There’s still a long way to go, though, and Otherkin are painfully aware of the importance of this debut release. “Our record label have made the point to us that the majority of people are never likely to have heard of us before this record comes out,” Summons says. Otherkin’s debut album ‘OK’ is released on CD, vinyl and digital download on September 29th. Following an extensive European tour, they return to Dublin in December.